I was fancying a tuna pasta dish earlier this week but couldn’t think how to do it! This is perfect, so easy and good value for money! I will try it! Thanks so much. You should make this for sure Helen. 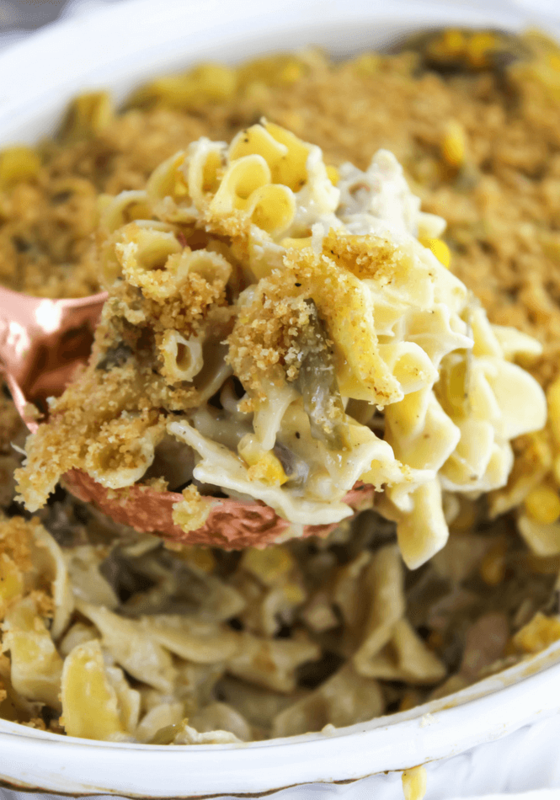 It is such a great comfort food and so easy. 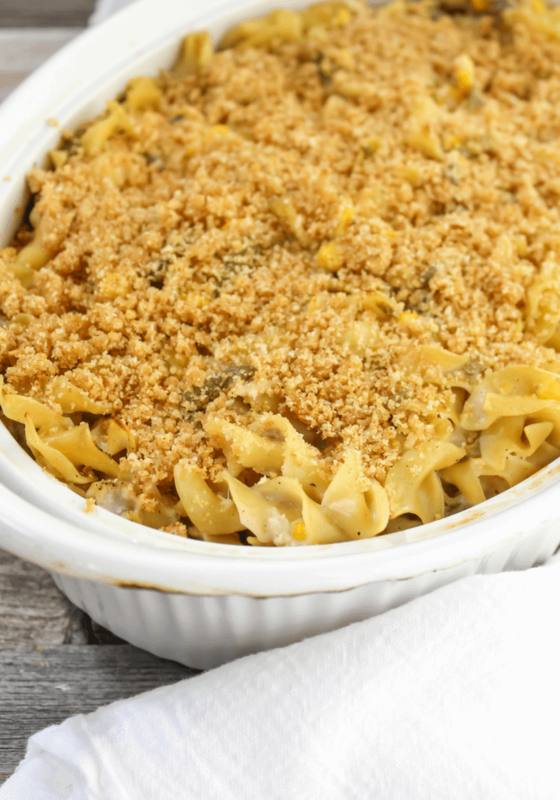 I’ve never tried tuna casserole but I’d love to, looks delicious! What? You need to make this ASAP then Cristina! I just LOVE tuna! 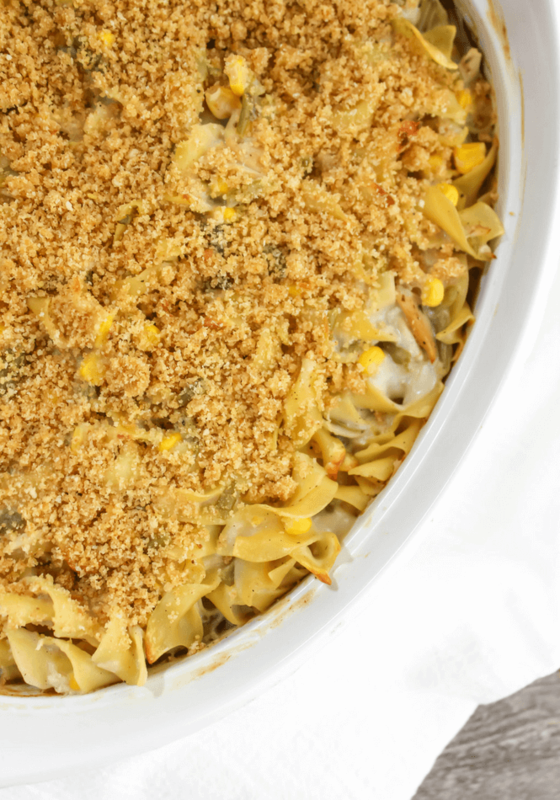 Your casserole looks delicious, especially with the breadcrumb topping. 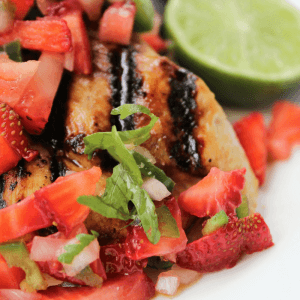 This would definitely be a budget-friendly, healthy recipe for dinner. 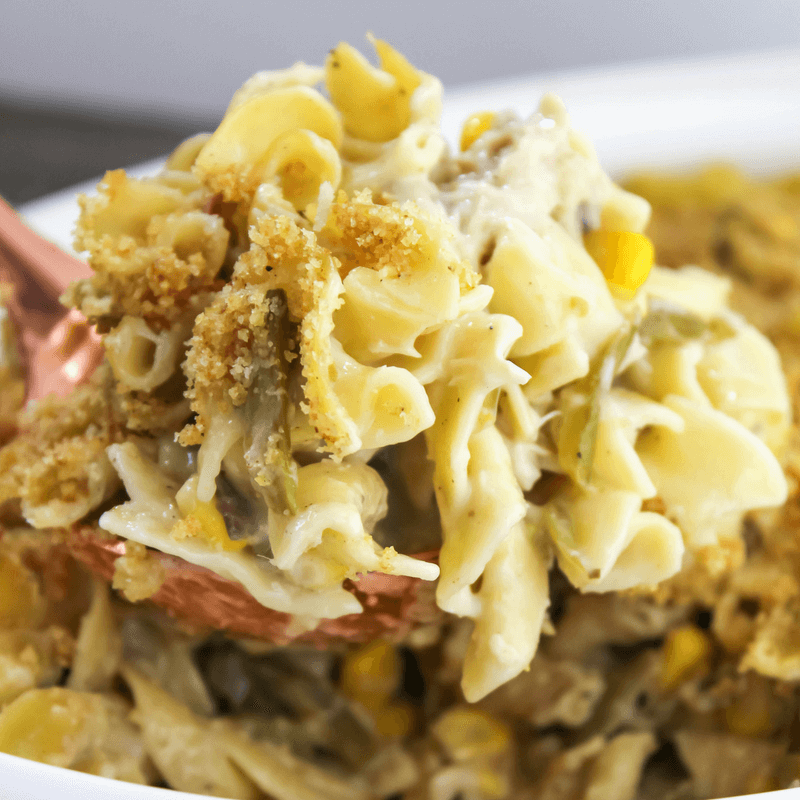 Yes, the breadcrumbs are so good over top!